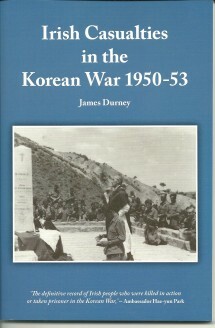 On 25 June 1950 June 1950 the North Korean People’s Army invaded South Korea. A United Nations mandate sent troops from many nations to repel the invaders. Thousands of Irishmen served with the United States and British Commonwealth armed forces. 110 were killed and over 100 captured. Irish missionaries were also killed and imprisoned. 80 pages, 23 photos, 1 map.